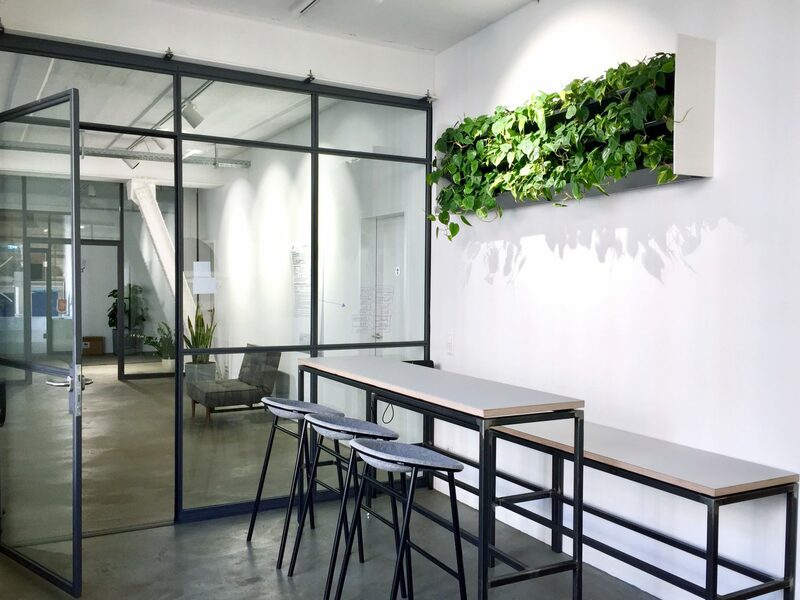 We’ve been commissioned to equip a listed Kreuzberg loft office with plants. 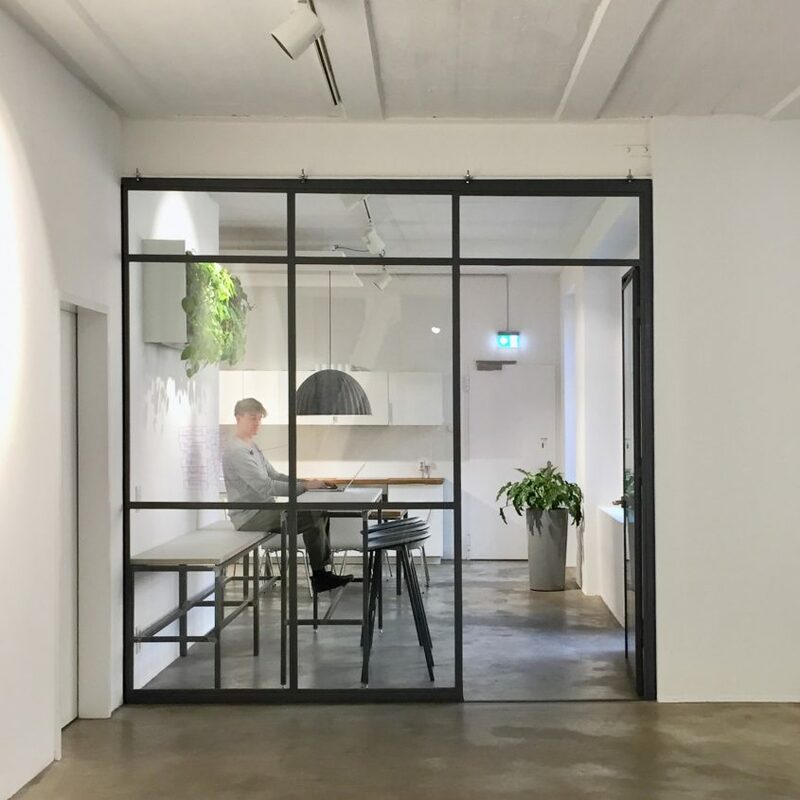 The generous spaces of Neugelb GmbH, that already had a redesign from Viktor Reiter being carried out when we first visited, immediately told us that really the only thing missing is some greenery in order to create a complete working environment. That’s why we decided to focus on adding the green dimension. The project consists of two components. 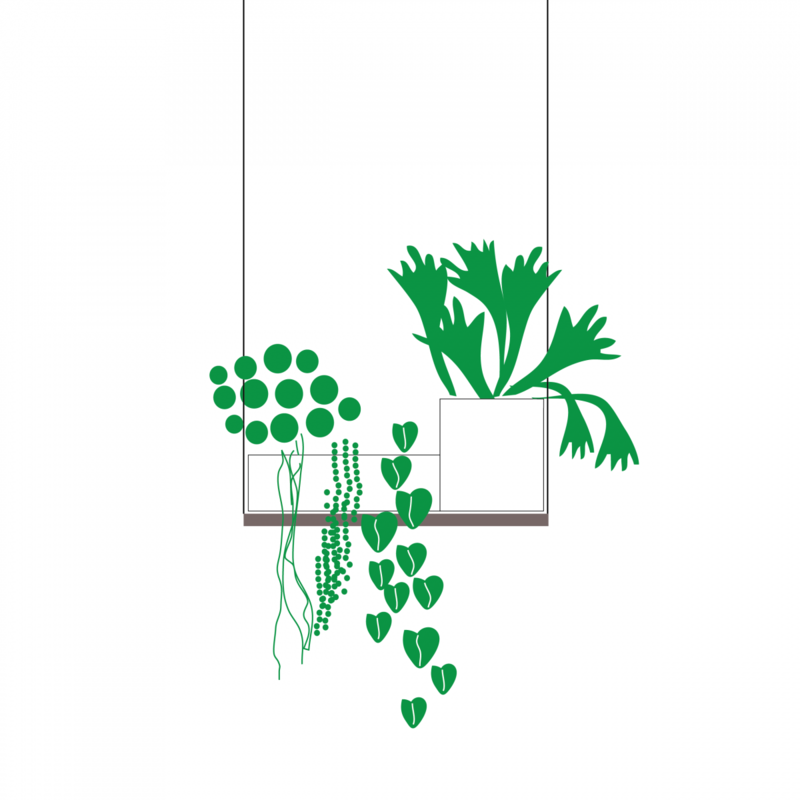 On one hand there is the Living Wall in the kitchen. 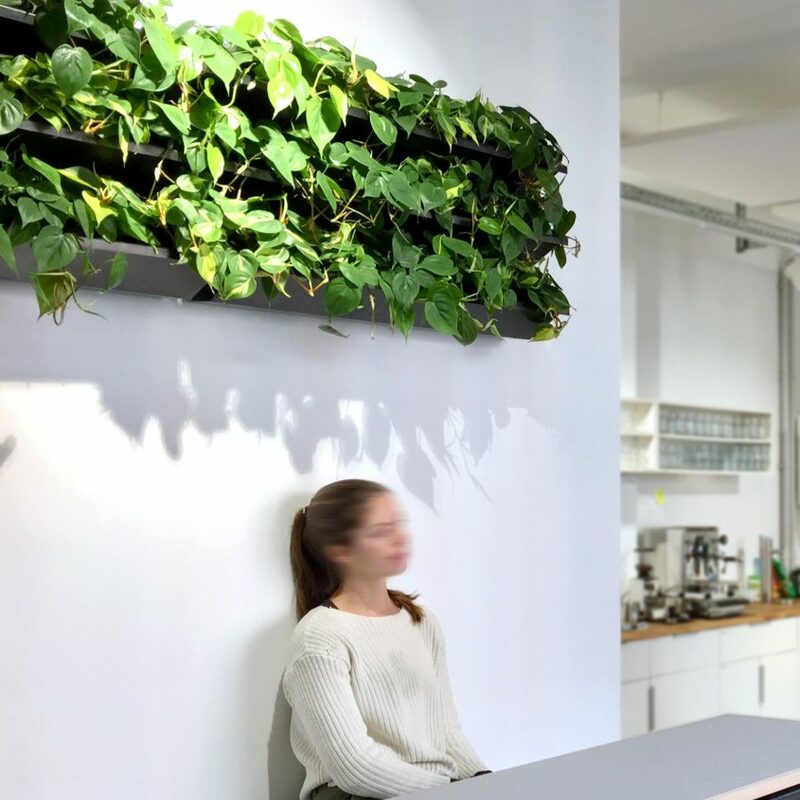 The people at Neugelb not only use this space for food preparation and eating but also as a meeting point, for smalltalk and laughs but also for quick meet ups. 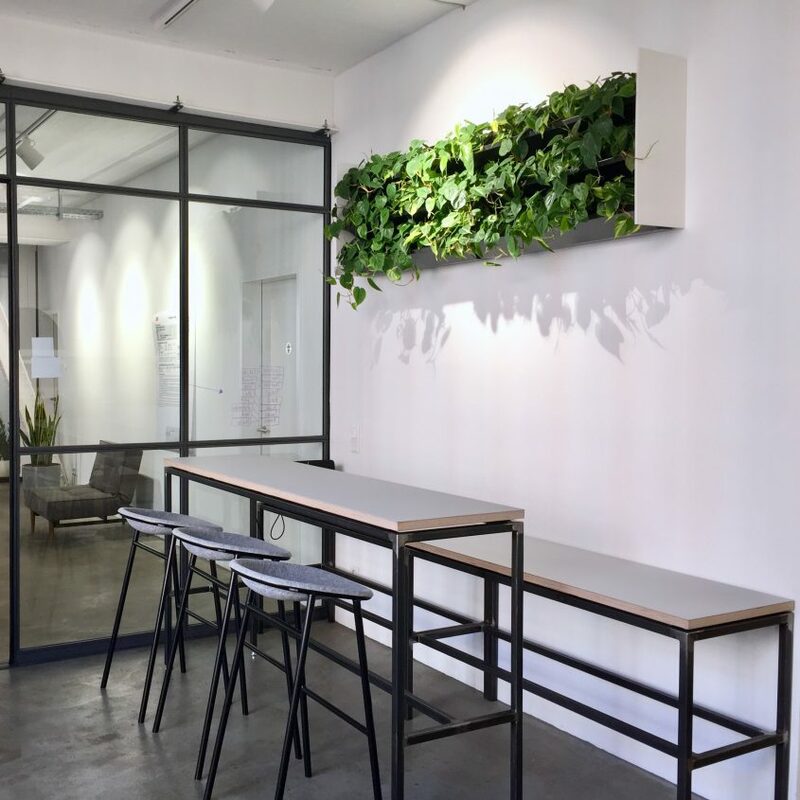 Our piece contrasts the clean appearance of the kitchens interior with the natural liveliness of Philodendron scandens and yet blends in with the overall design concept and it’s rectangular linearity. On the other hand there are the medium to large size solitaries that appear singular or grouped in small clusters across the working areal. 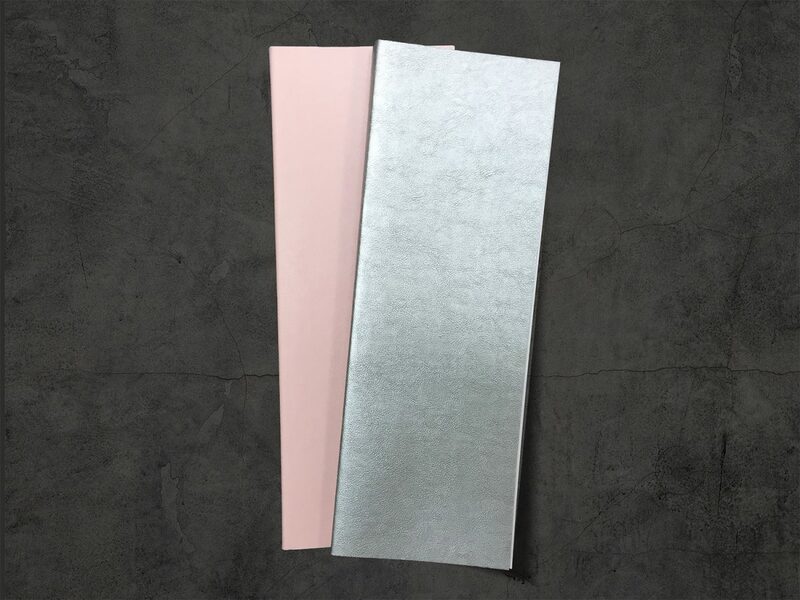 They enhance the aesthetics as well as an array of physical properties summing up to improve the air quality of the spaces. 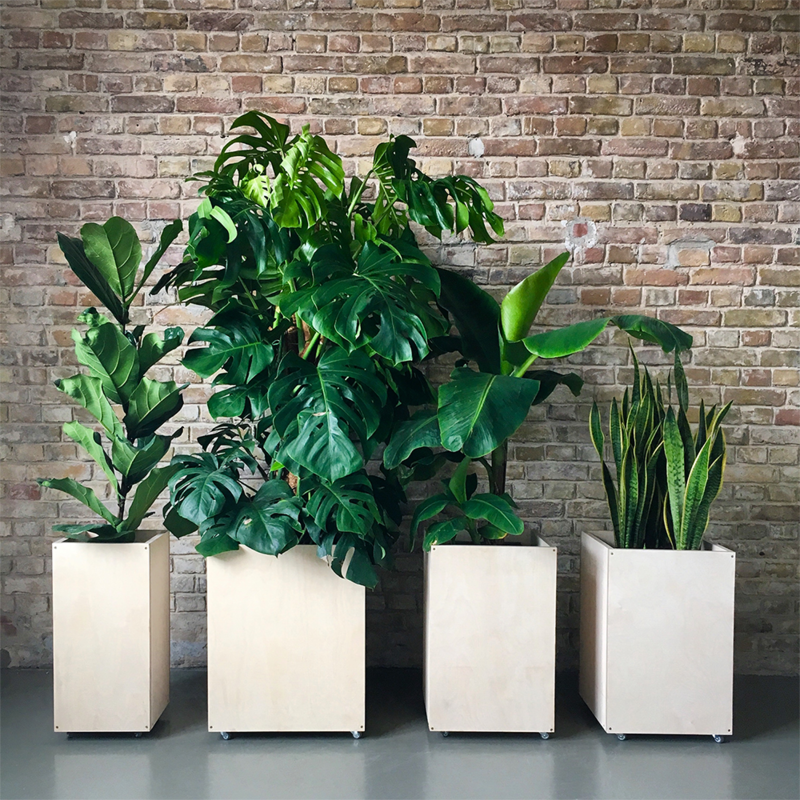 The planters are customized for the client in a neutral dust grey and equipped with rollers to ensure maximum flexibility. 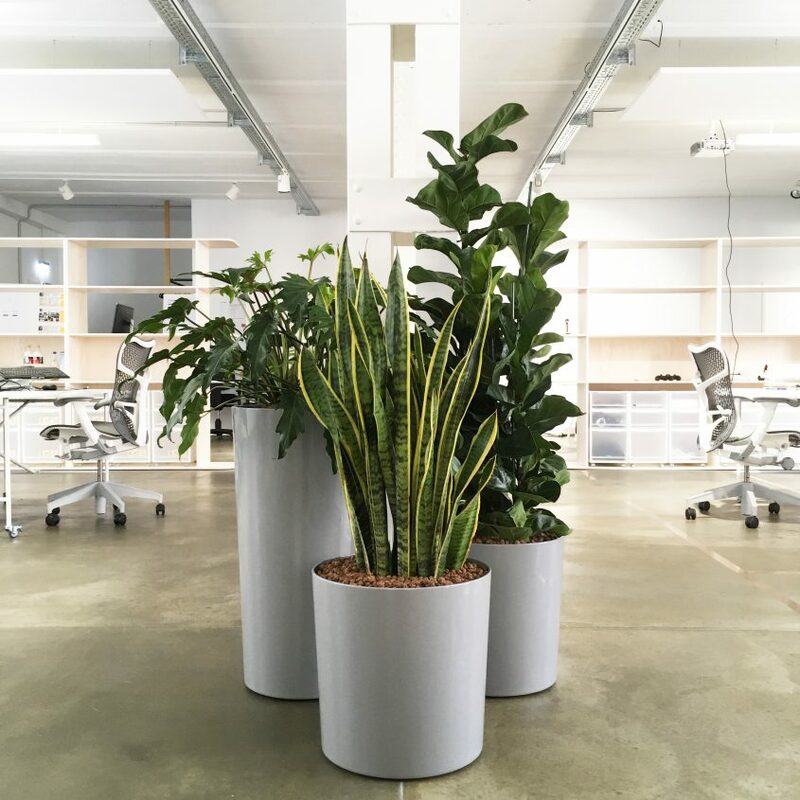 All plantings were carried out in hydroponics to simplify maintenance for the client by increasing watering intervals and lowering the risk of overwatering and -fertilizing as well as the risk of plant pests and diseases. 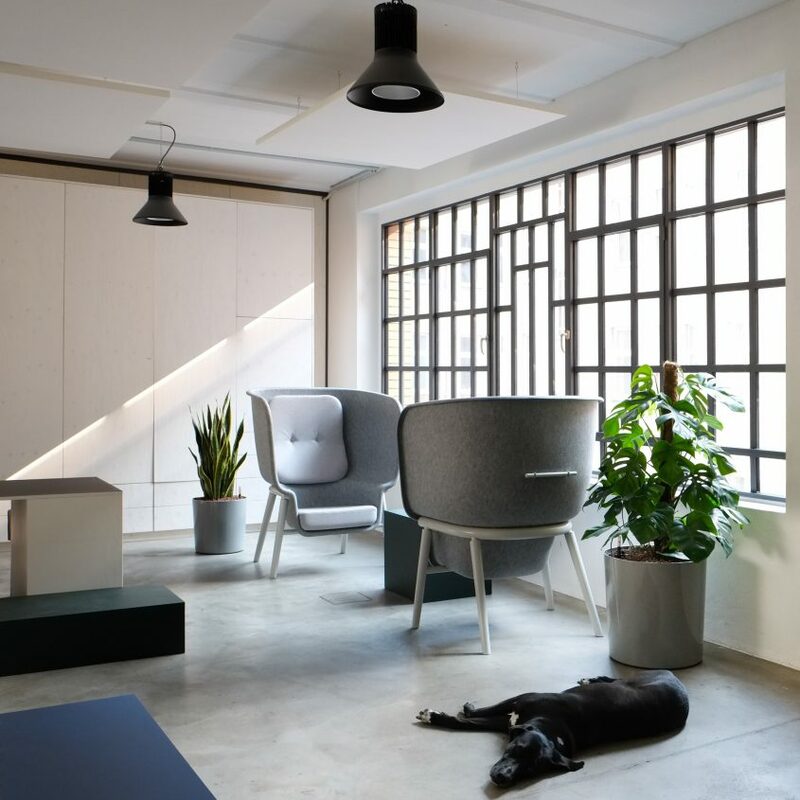 Adding the green dimension to the loft office contributes to the employees wellbeing in a visual as well as physical way.